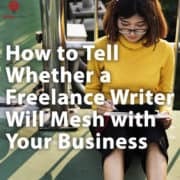 A thousand monkeys hammering away at a thousand typewriters might come up with Hamlet eventually, but that’s nothing compared to what someone with the right blog copywriting skills can do for your business. While the jury is still out on whether the internet is the best thing since sliced bread or the downfall of human civilization, the internet can help you do more than earn a living when you leverage it correctly. In short, when you combine your company website with good blog copywriting, it can lead to the wild success of your own business. But what’s the big secret? How does good blog copy translate to better business performance? Do blog copywriters have magic powers that regular bloggers don’t? It’s not rocket science — just good old common sense. 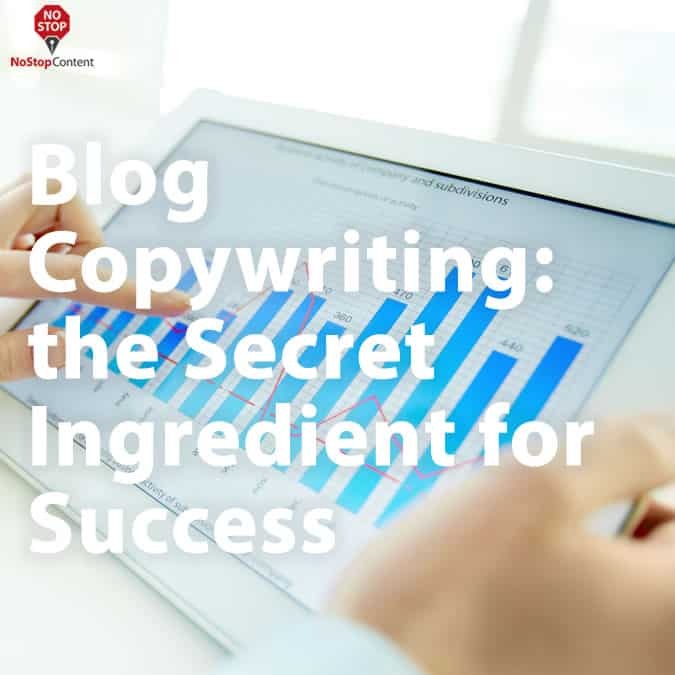 Here are the secrets of blog copywriting laid bare, so you can learn just how effective it can be. Before we get started, though, let’s be clear — blogging and blog copywriting are not the same things. 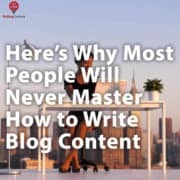 Experts predict that by 2020 there will be more than 31 million bloggers in the United States alone, yet the vast majority of people who have their own blog don’t make one red cent from it. Sometimes that’s because it’s just a hobby. Other times, though, a blogger will do their damndest to use a blog to create commercial value, either in support of another business or as a revenue stream in and of itself, only to crash and burn. So what’s the difference? Is it just luck separating you from someone like Perez Hilton, whose blog generates $575,000 a month? Don’t believe it for a second. Blogging is just like any other tool; you need to know the right way to use it. You wouldn’t pick up a chainsaw before knowing how to turn it on, but amateur bloggers are essentially doing just that — is it any wonder that those blog posts they’re churning out aren’t making a bit of difference? By itself, blogging is a great tool for getting eyeballs on your content. In fact, it’s one of the most reliable methods for attracting attention to a business, especially because ad-blocking software is so prevalent. In fact, Deloitte discovered in a 2018 survey that about three out of every four Americans use at least one type of ad blocker. This makes traditional digital advertising about as useless as a box of smashed doorknobs. Blog content circumvents adblock software because it’s not a digital ad — it’s digital content. And that means no matter how exasperated traditional digital advertising makes consumers, you’ll never be cut off from reaching them if you have a functioning blog associated with your company website. If online marketing was long-haul trucking, blogging would be the equivalent of cruise control. Of course, just because you’ve got a direct line to consumers doesn’t mean they’re going to pay attention to what you have to say. This is once more why there is such a difference between blogging and blog copywriting. 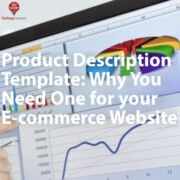 You need to not just have an avenue to prospective customers but also to feed content to them that is going to compel them to spend money on whatever goods and services you have on offer. 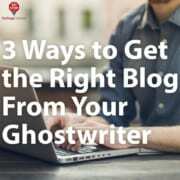 Blog copywriters know how to get a message across that uses the kind of language that moves the hearts and minds of prospects and entices them to come back again and again with their credit card info in hand. 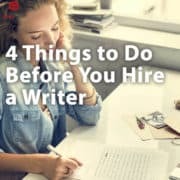 More than that, though, blog copywriters know how to get on readers’ radar in the first place — and that is where the true art of digital blog copywriting comes into play. If you can’t rely on traditional digital advertising because everyone and their mother is running an adblocker, how do you up your chances of being seen over your competitors? The answer is pretty simple: you format your website in ways that make it easier for people to find when they use Google (or another search engine). It’s called search engine optimization (SEO), and it’s been standard practice for about two decades at this point. While SEO strategies and methodologies have undergone some radical changes over the years, the intent has been the same: get your company website as close to the top of the search engine results page as humanly possible. 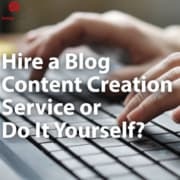 Blog copywriting takes this concept and runs with it, using techniques to craft content that meets the needs of prospective customers while also being appealing to constantly-changing search engine algorithms. A lot of money is spent every year on SEO, with 2018 spending estimated at around $72 billion in the US alone. This takes any number of forms, from keyword research and targeted social media marketing, but the biggest contributor to overall success at attracting prospects to your website is to maintain a well-optimized blog that features compelling, consistently-updated content. How much more effective is a company with a good blog? Research shows that prioritizing blogging is a mind-blowing 13 times more likely to yield positive ROI than not. Not only that, but companies with blogs see sales lead figures increase by around 67 percent compared to those that don’t. This makes using a skilled, experienced blog copywriter one of the best investments you can make in the future success of your business. Marketing your business online is integral to your company’s longevity. While there’s no end of different digital marketing strategies out there, the one that can yield some of the most cost-effective results is blogging. But blogging only helps grow your business when done right. Bloggers are a dime a dozen — experienced industry experts are much rarer. Contact us today to see how the one-two punch of compelling language and SEO expertise can transform your own company’s blog!